The new Woolistic "R.V. 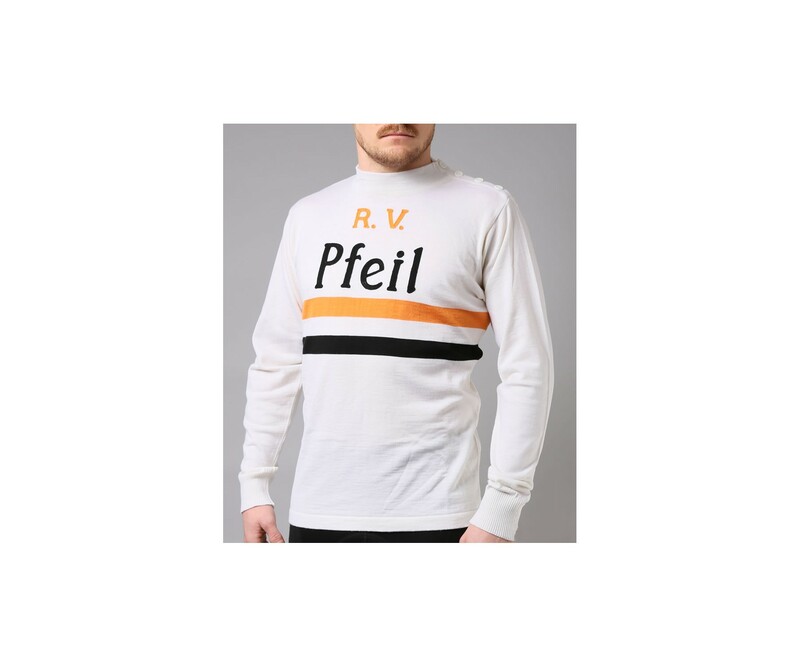 Pfeil" long sleeve wool cycling jersey is another gem from their 1920s inspired wool cycling jerseys. R.V. 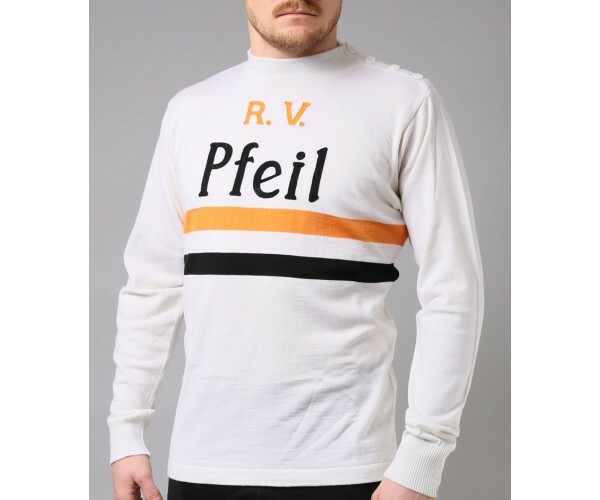 Pfeil (Pfeil means arrow in English, R.V. is "Radverein" means club) was a bike racing club in Germany during the late 1920s to early 1930s. This jersey has the button-up shoulder that was popular in that era. This bicycle jersey is made with 100% machine washable Merino wool. Rare chain-stitch embroidery on the front only. Very limited quantity!